Time does fly when you’re having fun. In case you didn’t know, one of Australia’s most well-known boat brands, Savage Boats, is now 120 years old! We know 2018 isn’t over yet, but we also know that for boaters, it’s never too early to prepare. The Murray Cod, the Barramundi, and the freshwater Saragota are just three of more than 2000 saltwater and fresh-water fish species in Australia. The country is literally a fishing haven for recreational fisherman! If you want to join the club of over 5 million Aussies fishing for fun, then the next step is to gear up with a fishing boat of your own. For in-land water anglers and inshore fishers, a small motorboat or even a jet ski will do. But if you want to do some serious fishing off-shore, a more powerful sports fishing boat will be a great investment. When it comes to purchasing a boat-motor-trailer (BMT) package, the trailer seems to be always the last in consideration. It might be the cheapest among the three, but it sure is just as important as the others. Think about the dream boat you’ve always wanted. Would you have that great boat carried on a poor trailer? Probably not. With the possible problems a poor boat trailer might have, you’ll just end up frustrated whenever you take your boat out. Eventually you’ll get tired and you won’t take it anywhere. So, save yourself from any hassle. Before purchasing a new boat trailer or your first BMT, make sure the trailer won’t damage your boat. 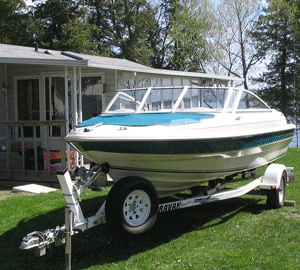 Consider all the boat trailer features before making your purchase. Why Get A Commercial Boat Loan? 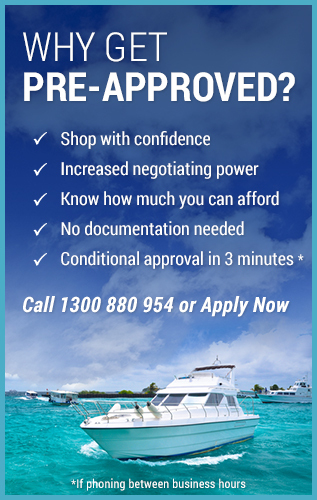 At BoatLoans.com.au we offer a range of commercial boat finance options, including chattel mortgage, leasing, and hire purchase. But why would you decide to take out a commercial boat loan rather than a personal boat loan? You get so used to fishing around your local area, knowing the best spots for the best time of year, that sometimes you forget how hard it was to come by those fishing spots in the first place.